If there’s one thing that’s been on the tip of pipe smokers’ collective tongues for the last year or so, it has been “What’s going on with Dunhill tobacco?” When I first got into this trade nearly ten years ago (Man, were has the time gone?) They had totally vanished from the UK market, but they returned a few years after, to massive fanfare from diehard pipe smokers. It started as a small cross section of the range initially, but over the years it gradually grew and grew. However, a year or so ago, rumours began to circulate that they would be disappearing from UK shelves once again. Sadly, at the end of 2018, these rumours got confirmed and we once again had to say goodbye to Dunhill’s legendary range of pipe tobacco. At the time of writing, we do still have some Dunhill blends available: You can see them here. But that’s it, when they’re gone, they’re gone. For good. However, another brand has emerged from the ashes left behind by Dunhill to take up their mantle. You might be familiar with Charatan cigars? 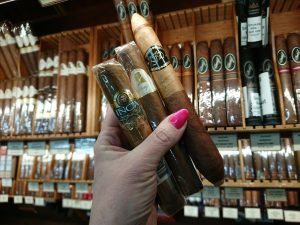 If you’ve read many of my blogs before you’ll know I’m quite as big fan of them, for excellently priced mellow cigars that I often recommend for newer cigar smokers or people working with a budget. Well, they’ve gone up in my estimation even more now, as they have released their own range of pipe tobacco that has been “Inspired” by the Dunhill range. So as is tradition, I’m shouldering the arduous work and tasting my way through the range to see how they measure up and reporting my findings here. It’s quite a big range so I’ll be spreading my reviews out across a few blogs in the coming weeks. It doesn’t take a genius to figure out that this is an interpretation of “Early Morning” from Dunhill. As the name(s) suggest(s), this blend is designed to be the first bowl smoked in the morning. So, it is delicately flavoured, but complex enough that it stimulates your palate without overwhelming it. Early Morning was always one of my favourite Dunhill blends, so I’m pleased to report that First Bowl is a very faithful interpretation. It is a blend of Red Virginia and Oriental, with a touch of medium fired Latakia that gives a delicately sweet taste, with a subtly crisp, smoky edge. small disks of tobacco that are prepared in the same manner as a flake. 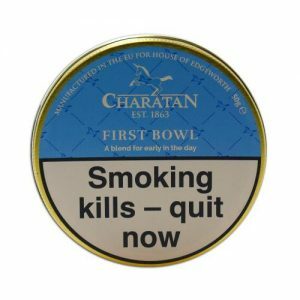 Charatan’s take on this classic feature contains Flue cured African tobacco with a hint of perique. Nice and simple, right? 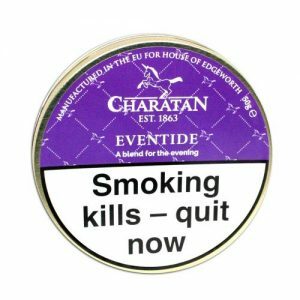 However, Charatan have added their own twist of this tobacco, by adding a core of Black Cavendish. This is often referred to as a “Bullseye,” but it isn’t used very often these days (Orlik Bullseye was a great example, which I used to love, but has been off the market for years now.) The Bullseye style means you can choose how much or little Black Cavendish is included in your final rub, giving you even more control over the taste. Speaking of the taste, this doesn’t taste exactly like the Navy Rolls, but it isn’t far off. 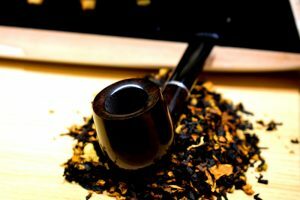 There is an almost Virginia-esque, sweet and tangy quality to the base tobacco, with a hint of crackling, peppery spice from the perique, while the Black Cavendish (should you choose to include it, of course) Rounds it off with a subtle creaminess. I’d definitely recommend trying this one, even if it’s just to experience what smoking a Bullseye is like, as it’s really uncommon these days! 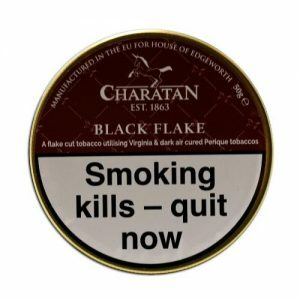 I’m generally a pretty big fan of flake tobacco (Or the similar “Medallions” as mentioned above) so I was relieved to see that Charatan were releasing their own blend inspired by Dunhill Dark Flake, as it was easily one of my favourite Dunhill Blends. However, as one of the last new Dunhill blends reduced in the UK, it was quite late to the party, so I feared it might get left out in favour of their more established classics. Thankfully, this wasn’t the case. The tin that I sampled this from was technically more of a “Very dark brown flake” than a “Black Flake” but I’m not going to complain. These very dark brown flakes contain Dark Virginia with air-cured Perique. This makes for an excellent combination of flavours. The Virginia gives an extremely deep, sweet and rich taste with natural hints of fruit, while the perique adds a tiny hint of spice to invigorate the blend and prevent it from becoming sickly or cloying. It is full bodied, but still palatable and in no way overwhelming. One of my favourites I’ve tasted so far. When Dunhill was still widely available, I repeatedly wrote about how much I loved the concept of the combo of the “Early Morning” and “Nightcap” blends. The former being intended for a palate stimulating, first bowl of the day, whilst the latter was a powerful, heady blend intended to help you relax as a final bowl of the day. So, I’m glad to see that these have both inspired blends from Charatan, for fulfilling the same purposes. I’m actually having my first bowl of this one as I type, but being the rebel I am, it is roughly 10am. It is definitely extremely powerful, with quite an intense nicotine content, but not in an unpleasant way (although, I am now thinking that maybe I shouldn’t have skipped breakfast.) While all the blends have clearly been inspired by the originals and are fairly faithful interpretations, I have to say that this one undoubtedly the one that has come closest to its original so far. If I didn’t know better, I’d swear I actually have a bowl of Nightcap in my pipe at the moment! So that’s all for today. I’ll pick up where I left off next week! Until then: Put that in your pipe and smoke it! Friday 8th March saw is celebrate International Women’s day and we some wonderful ladies who work for us but as there is no International Man’s day a big shout out to everyone of you who is an inspiration to others. Sara celebrated as she only knows how……….. A BIG CIGAR !!!! Remember Chester is open 7 days a week and our staff are always on hand to help you choose your favourite tobacco products and a nice tipple to accompany it! It’s been a while, but we are back! 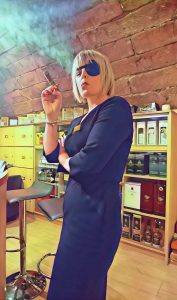 This week saw Sara at Chester practise her Daryl Hannah from Kill Bill look however it certainly did not stop her sampling the magnificent Partagas Maduro No 1… however her current favourite daytime cigar is the Orchant Seleccion Avo Robusto which luckily for you all is available in stores across the UK and online………… but you better hurry before she smokes them all !!! We love to host a tasting event in Chester and Wednesday 20th February saw our first Cuban event of 2019 and as with all our events, it was sold out !! Who can blame you fine people for buying a ticket though with the wonderful cigars and cognac we had to offer !! As we enter December we have some amazing offers and gifts for you to get for all your loved ones. Whether it be the perfect pipe, cigars or Whisky we will have it for you. I have gone through to find the best gifts for you this Christmas and give you some recommendations, check them out below. The perfect Christmas gift for any cigar lover! Presented in an AVO Syncro Nicaragua empty cigar box. Medium strength cigars that are not too overpowering, so the perfect gift for an cigar smoker, and is also very easy to wrap. The AVO Syncro Nicaragua is truly a one-of-a-kind experience. Known for its wild character and peppery notes, they carefully fuse their tobacco with earthy flavours from their estate in the Dominican Republic. The composition is an experience that is perfectly in sync with the moments worth sharing. My Mystery pouch is a nice surprise at a great price of just £9.99. I don’t choose anything too overbearing so whatever tobacco you receive im sure who you’re it buying t for will enjoy it, not only that it comes presented in a Leather tobacco pouch. If you would like to know what tobacco you have received you just have to email me at liam@cgarsltd.co.uk and I will let you know. 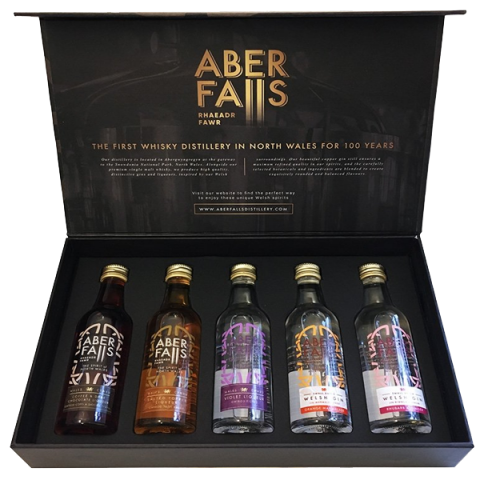 Here is your oppotunity to try all the flavours from the Aber Falls range. From salter toffee to orange marmalade, this gift pack promises to offer some amazing tastes. These little tasters are perfect throughout Christmas and up to New Year, but hurry because these will fly off the shelf. Very good quality at a very reasonable price. All are hand crafted using top quality natural wood briars, the attention to detail and craftsmanship really shows in each and every pipe. If you know someone who is about to start pipe smoking for Christmas then these pipes are perfect. Amazing detail on the stem and the smoke is incredibly smooth so great for a beginner. These are just a small selection of what we have to offer, so make sure you have a browse because the gifts we have are endless. I was having a look around the Chester shop recently and I realised something that is very odd. It has always been accepted that cigars are a “rich man’s hobby” whereas cigarettes are reserved for us regular folk. However, as cigarettes have been gradually edging further up in price over the years, many are starting to cross over into being in the £10-£12 per pack, range. Bafflingly, this means we’ve reached a point where it is possible to find some small cigars that are actually cheaper than cigarettes. It’s not just me, is it? That is some crazy stuff right there! So naturally, that means that for this blog, I’m going to go through some of my favourites! Now, naturally we aren’t going to see any Havanas or other large cigars on this list. But when you consider how much more enjoyable even the most basic of cigars is when compared to a cigarette, it’s still very impressive! 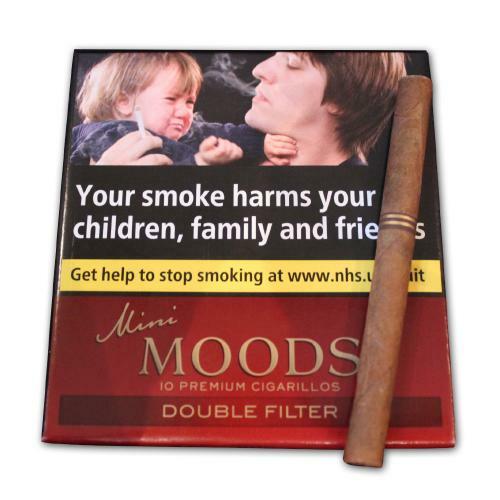 These are very popular in Chester, boasting a sweet, smooth and easy smoking experience. They are also cheaper than even the cheapest of cigarettes! There is something of double-edged sword with these though: Did you notice the “Double filter” part of the name? Well, that means the filter is double the length of the usual cigarillo filter. So, the downside is that it takes up roughly half of the length of the cigar. However, the plus side here is that it counters the hot burning issues that can be a common issue with small cigars/cigarillos. So they’re not the longest of smokes, but they’re well designed and definitely extremely good value. There are a few bargains on this list, but this one takes the cake. A lot of the cigars I’ve mentioned are cheaper than some cigarettes, but will still be beaten out on price by the cheaper end of the scale. These, however, are cheaper than pretty much any pack of cigarettes you can find in the UK. These are probably the most unusual cigars on this list. If I recall correctly, they were first released around the time when the rules around cigarettes were really being stepped up a notch (plain packaging, minimum pack size of 20, you know the score.) So, it’s no coincidence that they’ve clearly been made with cigarette smokers in mind. They are the same size and shape and a standard cigarette and sport a cigarette-style filter. The only real difference is that they’re wrapped in tobacco leaf. So, they’re really suitable for cigarette smokers and cigar smokers alike. They also have the unique boast of being the only cigar that is available in MENTHOL. The pack of 17 is a nice reminder of when cigarettes weren’t prohibitively awkward to buy, but they still somehow wind up being cheaper than pretty much any equivalent on the market! These are a new one for us and are clearly also influenced by cigarette-style smokes. They are roughly the same size as a cigarette and sport the traditional cigarette filter. They also come in a traditional style of “Soft pack” that used to be common for cigarettes, but are now more or less non-existent. You have a couple of options with these too; you can go for the traditional blend, which has a pleasantly robust, natural taste. Or – if you have something of a sweet-tooth – you have the option of the “Flame” variety, which is topped with a warming, sweet flavour, with hints of cognac and aniseed. They vaguely remind me of those “Fireball” gobstopper sweets. Very very tasty! If you’re interested in trying them, they also do a handy “Taster pack” of 3 cigars in either flavour. As these are fairly new, they’re currently only available directly from our Chester shop. If you can’t make it to us, don’t fret: you can order over the phone on 01244 348821 or email me on calum@cgarsltd.co.uk for more info. Finally, I’d just like to end with a quick announcement. I’m very happy to inform you that due to popular demand, we’ve decided to add an extra tasting night to our calendar for this year. We will be having a Havana sampling night at La Casa in Chester on Wednesday October 10th. As it’s a special bonus tasting, we are only doing a single session from 7pm-9pm, so spaces are extremely limited. We do still have some spaces available, so don’t delay if you’re interested. Tickets can be bought online here. 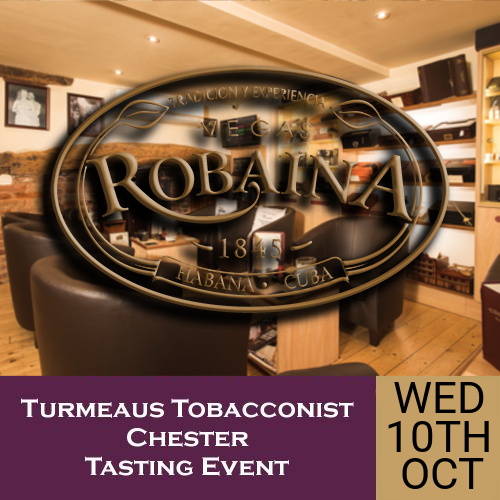 Alternatively, you can reserve your place over the phone on 01244 348821, or just email me on calum@cgarsltd.co.uk. Hopefully we’ll see some of you there! Until next time: Put that in your pipe and smoke it! best one stop shop for all your smoking needs. The only problem you have is choosing from our unbeatable range, this could make life difficult. So hopefully this can help you start your pipe smoking journey or add to your already wonderful collection. Our Jean Claude range is an amazing seller, it appeals to the new and old smoker with its classic design, good quality and extremely smooth smoke. These pipes will last you a lifetime, which is a lot to be said considering the price, sodefinitely perfect for any beginner. The pipes have a tradional style, are fairly light so will hold in the mouth well. The bowl size is perfect fitting just past the knuckle of the Thumb so plenty of room for a good amount of tobacco. Stem is a good fit not too lose or too tight. Each one has an interesting grain and intricut style stamped clean and clear with the Jean Claude Logo. If like me you prefer a filter it will also fit a 9mm one, so you are able to smoke with and without one. 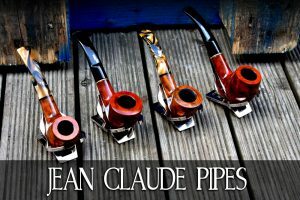 So if you’re looking to start your journey into pipe smoking or just add to your collection, it’s definitely worth giving one of these Jean Claude pipes a go. Hi again, Calum from Turmeaus Chester here, back in the blogosphere after a few month’s hiatus! I took a little break from blogging to focus on doing more video related things for our growing YouTube channel. If you haven’t checked it out yet, make sure you do, for reviews, how to videos and other video-based hi jinks (I even had a go at combining cigar smoking and yoga in celebration of of World Yoga Day a few months ago!) However, I’m now bravely attempting the challenge that is multi-tasking (considering that I often have trouble merely ‘tasking’) and will hopefully now be back to bringing you weekly blogs as well as my video ramblings. So, what’s been going on since I last blogged? Well, not a huge amount is new with me personally, but Turmeaus and C. Gars are continuing to grow. Our shops are busier than ever and our groundbreaking evening destination, the Puffin’ Rooms, in Liverpool has gone down an absolute storm. As I mentioned earlier, we’re also putting much more focus on video content on our YouTube channel now, with me, James, Ant trying to keep videos coming thick and fast. As for products, we’ve had some very cool new releases over the last few months. Some of which are simply very enjoyable, whereas others have been a genuine surprise. So let’s have a quick run through of some of my favourites. Mitchelleros, an exceptionally good value Nicaraguan cigar, mellow and easy going, ideal for newbies and experienced smokers alike. Seleccion Orchant Alec Bradleys: After the success of the Orchant Olivas, we decided to give Alec Bradleys the same treatment. This are medium bodied cigars, but with a beautifully complex, sweet flavour. Think caramel and crème brulee, possibly my favourite of all our exclusives. Davidoff Orchant Seleccion: Another cigar made elusively for us by a pre-existing manufacturer. The only size available is an elegant Lancero, which is a prefect change of pace in today’s robusto-dominated market. Highclere Castle Cigars: If you haven’t heard of Highclere Castle you’ve probably at least seen it; It is the site where they film Downton Abbey. 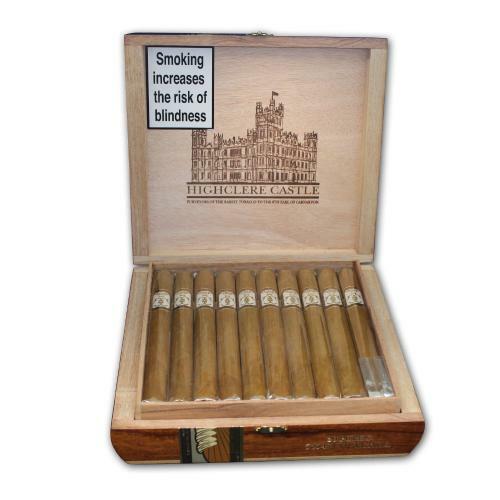 Highclere Castle has a rich history of cigar smokers, so the current owner decided it would be fitting to create the Highclere Cigar Company. The cigars are produced by AJ Fernandez and are a Nicaraguan blend, with a Connecticut Shade grown wrapper and Brazilian binder. Mellow and easy, they are said to be especially blended for British Palates. Changing pace a bit, we have some new releases from the American style flavoured cigars from Backwoods. I know flavoured cigars aren’t everyone’s cup of tea, but if you’re a fan of them, then Backwoods make an excellent smoke with a cool, rustic presentation. I have a massive sweet tooth, so I’ve always enjoyed their range, but this time it almost felt like they’d looked down the list of “Calum’s favourite flavours” and picked my top two. That’s right, we now sell Backwoods in Grape and Honey flavours. Grape is basically my favourite flavour for anything, whether it be soft drinks, sweets, fruit juice, but I’ve never known a cigar (or tobacco) with that flavour available in the UK. So it’s pretty safe to say I was bouncing off the walls when I saw that these were coming. As for the honey variety, I’ve always said honey flavours go really well with tobacco too and Backwoods have nailed the flavour here, so they’re another very worthy addition to the range. Speaking of surprises… I might have been a bit surprised when the Backwoods Grape flavour, but nothing compares to how surprised I was when I found out about these. If you’ve heard for Snus (Bags of damp, snuff-like tobacco, that are placed under the lip for oral consumption) you will probably;y know it’s never been allowed for sale in the UK. Well, technically it still isn’t, but these new “Chewing Bags” fill the void extremely well, but are different enough that they are classed as an entirely different entity to Snus. I’ve only tried Snus a limited amount of times, but personally I can’t see any significant differences between the two. So if you or anyone you know has been lamenting the lack of Snus in the UK, make sure you let them know about these. There are a few flavours available, from the rich and spicy natural tobacco taste of Cut Titanium Original to the cool, sweet menthol taste of Thunder X Icebomb (my personal favourite). They’re definitely a very unusual way to taste tobacco with quite a unique flavour. They’re also extremely invigorating; I’m a certified caffeine addict, so they’ve proven extremely useful for perking me up through my inevitable mid-afternoon caffeine crash! So those are my top picks for some of the new products we’ve had in. I’ll be back to weekly blogs from this point (hopefully!) so I’ll be back soon! As summer approaches we always try and find the perfect tobacco for any summer occasion. 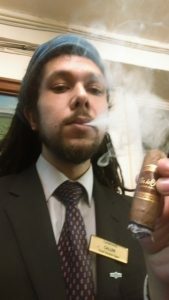 I have put together a list of great tobaccos I feel are perfect for the hot weather. This blend is full of wonderful flavours and aromas. You get Hickory nut, vanilla and cinnamon, if that doesn’t intrigue we don’t know what will. This has to be up there as a must try tobacco. Rattrays never fail to make quality pipes and tobacco, the Buckingham mixture combines a mixture of Black cavendish, Golden Virginias and a fragrant Burley, in simple terms we would say there is no alternative, you won’t find one similar. Davidoff pipe tobaccos have often been looked past due to their price, but this is definitely a tobacco you can’t afford to miss out on. The time and care Davidoff take when making tobaccos is incredible each one is made to the highest quality and produced with amazing flavours. The Danish mixtures aroma hits you straight away with the scent of figs, plums and raisins hitting you straight away, these then come out as the flavours when you are puffing away, A beautiful tobacco with great character. This tobacco is like a summer cocktail amazing flavours of Tropical fruit, rum and vanilla hit you throughout. Created using black cavendish and Golden and red Virginias it really is a satisfyingly sweet and spicy smoke. We always need one Peterson in our top tobaccos, there blends never fail to impress, and this one really lives up to its name. All the connoisseurs enjoy it but this doesn’t mean you can’t use it as a beginner’s tobacco because it is so smooth. Can’t get more summery than actually calling your tobacco a Summer flake. Made from natural Virginia leaves which have sustained a long, ageing process. Gives Summer a great, cool, slow burning and delicate flavour. A creamy blend throughout with a perfect room note, the florally flavours really get you into the spirit for summer. Peterson’s limited edition was always going to make into this list. Every year they create an amazing blend perfect for the summer. A sweet tobacco with flavours of vanilla and caramel, which here is two of our favourites. This is a must try for the summer and is limited so you will have to get yours quick before they all fly of the shelf. 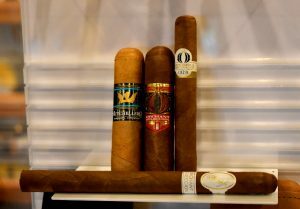 There you have it, our top 5 pipe tobaccos for the summer. So add to your basket and enjoy while have this beautiful weather. Two of our favourite pipes and a new sampler! We don’t usually like to pick favourites here at Turmeaus but these two pipes are beautys. Both offer the coolest of smokes and allow for you to really taste all of the flavours. 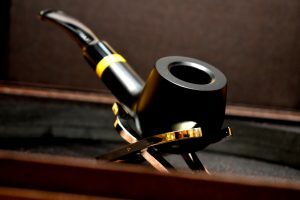 Rattrays Turmeaus GR5 pipe. This pipe was made exclusively for Turmeaus shops and has the quality of a Rattrays pipe. A really smooth and cool smoke. These were a limited edition of only 10 pipes made to promote our Turmeaus shops and so a rare pipe, ideal for the collector. 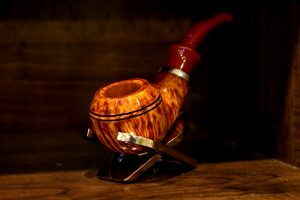 Rattrays never fail to impress when it comes to quality and its no different with this pipe, perfection down to the last detail. We wouldn’t usually rate a pipe just on it’s stem but how could we not with this one. Savinelli Oceano 606 pipe. The stem is a mix of glorious blue and white really living up to its name and tribute to the foaming ocean.The bowl is also a beautiful shade of brown, definitely reason enough to be one of our favourites. We also have a treat for you, I have put together a sampler full of great flavours and aromas especially for you guys. Every week I will be putting together a new sampler. Each one will consist of 5 different blends with an arry of aromas and flavours. Check it out here. Hopefully you can enjoy this one before we move onto the new sampler next week. Have a good weekend. A year of great pipes, so far! As we get through 2018 our stock of pipes is always increasing, pipes from Peterson, Rattrays, Savinelli, Chacom and many more are all becoming available in all Turmeaus shops. We always look forward to the pipes of the year and a long awaited one for us is the Peterson 2018. Once again they have impressed with a masterpiece, and only 500 have been made so be sure to get in quick if you want one of these magnificent pipes. 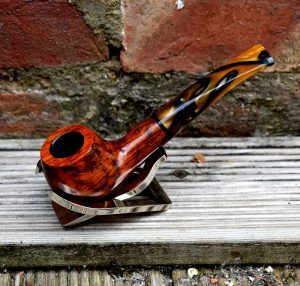 The 2018 Pipe of the Year is another unique addition to the annual release for which Peterson is famed. This year’s edition possesses an elegant oval shank and a generously sized chamber that is neatly tapered at the base. Each pipe is finished in a rich chestnut hue and is fitted with an acrylic fishtail mouthpiece and a hall marked sterling silver band. 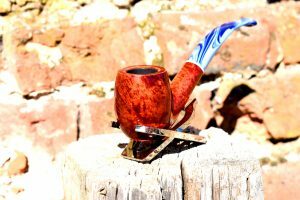 The 2018 Pipe of the Year is available in Smooth, Sandblast and Rustic finish. Next up we have a new edition to our Rattrays range. Rattrays have always been quite imaginative when it comes to pipes but this next pipe not only has a creative bowl but is available with three different stems. The Rattrays Beltane Fire. You will be supplied with a red, black and yellow stem, really making this pipe live up to its name of fire. You can’t let that name fool you as the smoke you get from these beauties is incredibly smooth and cool. A pipe you won’t want to miss for your collection. The next one is somehow even more special than the other two. Davidoff are known for their excellence when it comes to crafting cigars but the same can be said when it comes to their pipes. 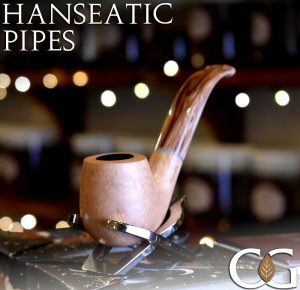 Not only do they look spectacular but they are constructed so perfectly you are going to have this pipe for life. The one I’ve picked out as one of my favourites is the Davidoff Discovery Brasil. For the Discovery pipes Davidoff have used briar wood from Calabria, with age, the briar root becomes tight and dense enough to resist both the heat of lighted tobacco and the juices produced during the smoke. The briar is dried for 10 years and the pipes are made in Germany. As you know we don’t only sell pipes, we also have some new tobacco treats for you. 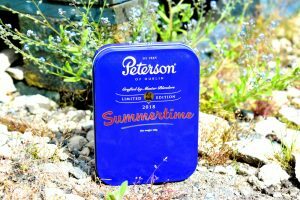 Like the long awaited pipe to come Peterson have also released their yearly summertime tobacco. A wonderful blend of Peterson’s tobacco to create a perfect blend for this Summer. 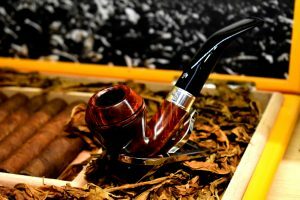 I hope this can give you some ideas if you’re looking to add the perfect pipe to your collection or if you’re looking for that perfect summer tobacco.